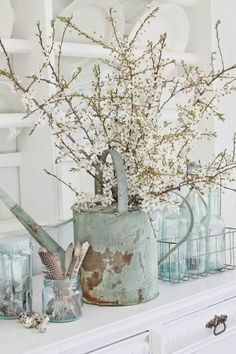 Good morning, it’s Beatrice here, back after a brief vacation, I’m excited to be back on the blog today. I’m hoping to inspire you with layouts featuring Snickerdoodle Designs’ latest collection Painted Autumn Collection. This collection, part of the Hatchery, is currently exclusive to The Digichick. While separates are available, as always, the bundle is the best value; I have linked to it above. I found so many inspiring layouts in the gallery, and I’ll feature just a few here. A darling photo series is featured in Hello Autumn by britnkaysmemaw2. The stitched-down orange paper reinforces the horizontal design and helps to direct the eye to the photos. I like the way she used the hay bale to support her cluster. Placing the painted branch at the top of her layout and over the first photo is a creative technique. The descending word strips again lead us to the photo, and the word art from the collection serves as her journaling. I found another gorgeous photo showcased in Autumn Find by kabrak 1207. I love the way she duplicates the look of the frame with the stacked papers. As always, her clusters are large and perfectly shadowed. It’s interesting to me how the foliage brush appears to be a scatter. The curly ribbons and delicate flower spill finish things off in just the right way. 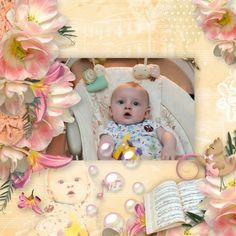 This collection must inspire the layout artist to use adorable photos because here are a few more in Pumpkin Patch by Norma. It looks to me like she blended some of the papers in the collection, and I love the way she incorporated the mushrooms included in the kit elements. The word strips are perfectly placed, and she used the Photoshop Style, included in the collection, to create a matching word strip highlighting the baby’s age. The element clusters, bits of paint, and stitched banner wrap things up flawlessly. A beautiful blended and masked photo is featured in Octobers by Linda. Leaving the elements flat gives the layout the look of an artist’s canvas. I love the quote she chose to serve as her title and journaling. Finally I’d like to show you Autumn Ladybug by Jenni. I really like the large photo framed by the papers. Placing the text on top the photo is brilliant. The clusters in the opposite corners are so pretty; and incorporating the smaller, framed versions of the photo is a great technique. The title work across the bottom blends seamlessly with the cluster. 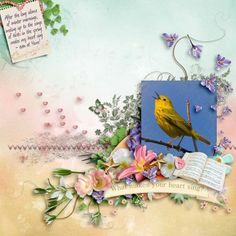 The layout above uses the free mini created by Snickerdoodle Designs and is available as part of the September Use It All Challenge at TDC. It matches perfectly to the Painted Autumn Collection. I hope you will play along with the challenge, and I’m sure the mini will impress you enough to add the entire collection to your stash. I’ve reached the end of my post. If you live in the U.S., I sincerely hope you are enjoying the Labor Day Holiday, and take the opportunity to do some creating of your own.